I was so excited to interview Suze Orman because I love everything she stands for, things like delayed gratification, fiscal responsibility, and knowing the difference between what you want and what you truly need. In the interview which is on another page, Suze validates the principles that I learned at an early age that have served me well. When I started babysitting at the age of 13 I earned 50 cents an hour. I remember how excited I was when the going rate increased to 75 cents and then it was a whole dollar. After spending five long hours with hyper kids or a fussy infant and coming home with a hard-earned $5.00, I quickly learned to question the value of what I wanted to buy rather than squander it thoughtlessly. At 16 I got my first real part-time job that paid minimum wage, something like $1.40 an hour. On pay day I would spread my meager earnings on the table and put various amounts of cash into different envelopes marked Savings, Clothes, and Miscellaneous. Those were the days when lay-away existed, when people made payments each week and only took the merchandise home when it was paid in full. Two years later I started another envelope that was labeled Car Payment. When I was 20 I got my first credit card and I learned an important lesson that has stayed with me throughout my entire life. I bought a purple suede vest with long fringe and turquoise and white beads that I thought was so cool. I bought a few other things that I can’t remember because that purple suede vest overshadows everything else. If memory serves me, I think I racked up about $300 on that credit card which was a fortune for a young girl. What I do remember very clearly is that I made minimum payments and by the time that card was paid off a year or two later, the clothes were old and I hated that purple suede vest. 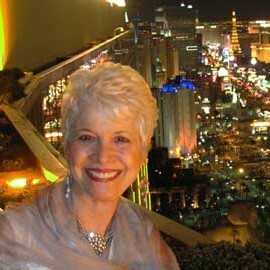 I proudly told Suze Orman that story when I interviewed her for my celebrity column, Up Close and Personal in Luxury Las Vegas magazine. She in turn shared some amazing stories about her childhood and beyond that will touch your heart. A lot of folks think of Suze Orman as a money maven who, with her no nonsense, tough love approach, has taught millions of people worldwide how to get out of debt and be financially free. My interview with her offers a fresh approach where rather than dispensing advice, she shares a more personal side of herself. The thing that thrilled me most was finding out that Suze really walks her talk. Many people have a double standard, one for themselves and another for everyone else. I was so pleased to find out that Suze and her wonderful life partner KT, both multi-millionaires in their own right, live conscious, responsible, down-to-earth lives. The three people who have most influenced her life. Her answer is fascinating and will provide a lot of insight into who she really is. Her lifestyle, which really surprised and impressed me. Her greatest strength and yes, her greatest weakness. What a perfect day looks like. Why Gay marriage must be legalized on the Federal level and many other things. Suze is one of the most honest, direct and outspoken people around, whether she’s telling people that they have to get real and curtail their spending or talking about her life as a lesbian. It’s interesting that the last four people I’ve interviewed have all been gay. Dave Koz for the July issue, Suze Orman for August, Carson Kressley for September, and Melissa Etheridge for October. Like Melissa, Suze is also a Breast Cancer survivor, and her favorite non-profit charity is the Avon Foundation for Breast Cancer. My hope is for a world where everyone accepts and embraces each other for their character and their diversity regardless of the color of their skin, their religion, or their sexual orientation. We are all equally beautiful, colorful threads in this tapestry of life. LIFE LESSON: What I have been fortunate to discover is that the size of the home we live in, the make of the car we drive, the label on the clothes we wear don’t define who we are. I’m so grateful that Suze Orman is in this world to help people realize that the things that really matter in life don’t have a price tag. 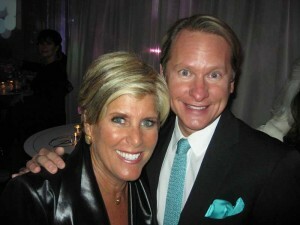 Enjoy my full Up Close and Personal with Suze Orman interview as it appeared in Luxury Las Vegas magazine. In addition, a slightly different version appears in the digital magazine NEXT, which is part of AgeNation.com. Both are insightful pieces about a stellar human being. Fantastic! I always look forward to reading you, Marsala, because you always manage to find out things about a given person that no one ever knew before. That takes a special kind of talent…to get people to open up…and you’ve definitely got it! Thanks Stacey, I love connecting with people and giving them a safe place to open up and be themselves. One of these days I am going to write a book about the amazing conversations I’ve had with so many of my guests. I appreciate your sentiments. It just goes to show how in touch and sensitive you are. 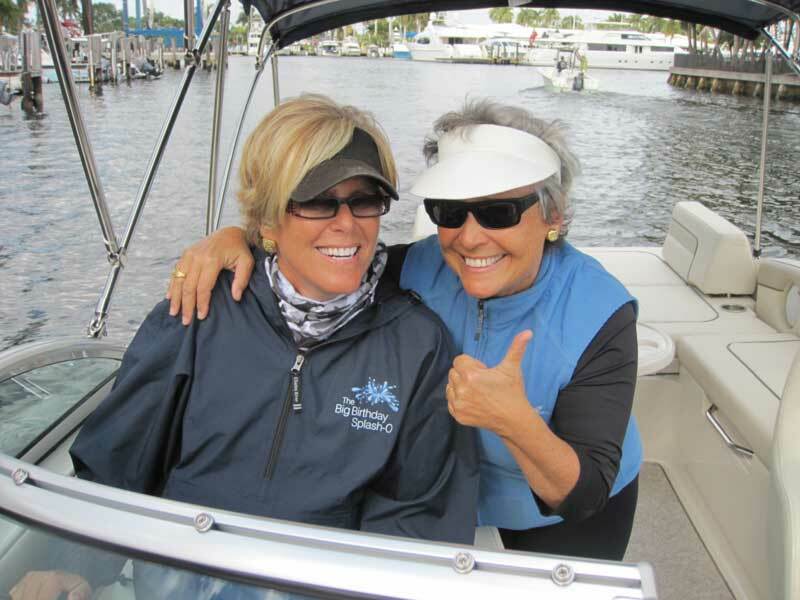 I just read your article on Suze Orman – loved it. Suze is such a dynamic person, who continually offers whatever she can to others, and your article really showed the compassionate and intelligent woman she truly is. Suze is a true role for all. Thanks, Marsala, for the work that you do.